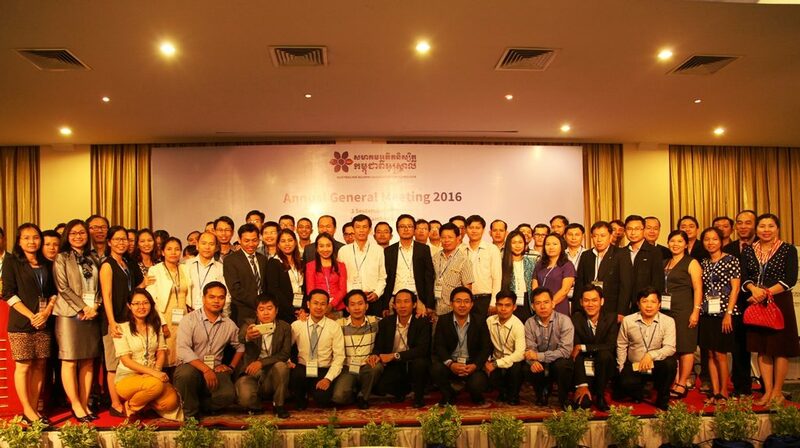 The Annual General Meeting (AGM) of the Australian Alumni Association of Cambodia (AAA-C) is a flagship annual meeting where general members of the AAA-C meet to get updated about previous activities and financial status of the association, to provide networking platform, and to provoke discussion of future direction of the association. 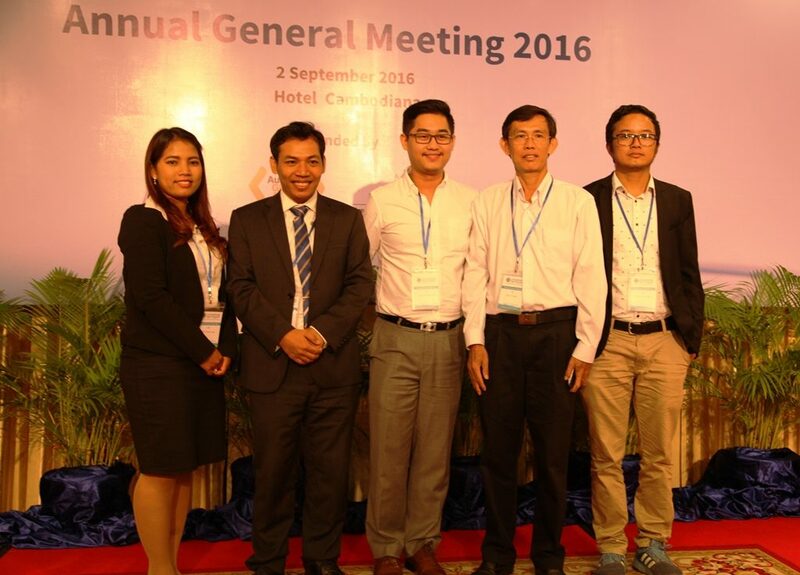 This year, the Australian Alumni Association of Cambodia (AAA-C) convened its Annual General Meeting (AGM) 2016 on Friday, 2 September at Hotel Cambodiana. This year’s AGM was marked as a very special and high profile function of the year as it featured two major milestones of the AAA-C, one is the presentation and adoption of the AAA-C’s revised charter and the other one is the Board election for the new mandate of 2016-2018. At the AGM, Ms Sarah Toh, Second Secretary of Development Cooperation, Australian Embassy, gave the honour of opening the evening’s function with an uplifting remark that summarized the achievements of the AAA-C over the year and addressed other recent updates of the AAA-C. Ms Sarah also showed the appreciation and credited the achievements of AAA-C to former committee of the AAA-C of mandate 204-2016. On top of that, Ms Sarah reassured that the Australian Embassy will continue to uphold it strong support for the association. During this AGM, the newly revised charter of the AAA-C was officially introduced and called for endorsement by Mr. Moeun Morn, the Executive Director of the AAA-C. The charter received a full support and endorsement from all members in attendance. This marks as another milestone for the association. Followed the charter endorsement, the election to form a new AAA-C Board was also held at the AGM to elect 5 new Board members who will continue their roles to direct the association to achieve its objectis over the next two-year mandate (2016-2018). As a result of the ballot casting from General Members (in accordance to the revised charter) in attendance, victory went to the 5 highly qualified individuals who successfully won the support from their fellow alumni to elect them as the representatives of the association. The 5 Board members are going to represent and to lead this non-profit and non-political association to live up to its legacy in fulfilment of its objects as an association that assembles and represents all Australian alumni of Cambodia. Dr. Mao Nara, the newly elected Chair, on behalf of the new Board, expressed his sincere thanks and appreciation to all alumni for placing their trust and giving him the honor to represent and serve all alumni in the association with their best interest at heart. After introducing and congratulating all members for their victory, the AAA-C Chair reassured his commitment to continue the legacy upon the success of the previous committee, expand and take the association to the next level.